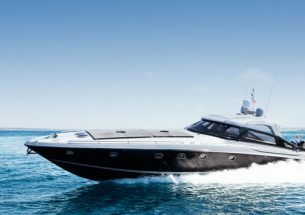 The Arno Leopard 27m Open is a stunning example of a modern luxury motor yacht. 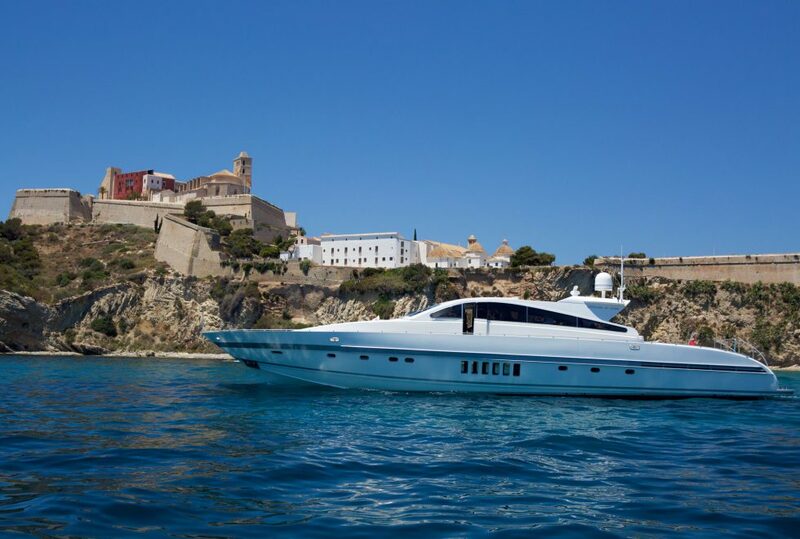 Previously owned by the Russian billionaire, Roman Abramovich, she’s top spec. With a maximum speed of 34 knots thanks to her twin 1800hp MTU engines, she’s impressively swift and smooth. Add Arneson surface drives, a 2000W sound system and CDJ 2000 Nexus decks & it’s clear that this gorgeous motor yacht oozes Italian performance and flair. Sleeps 8 guests in four cabins – full refit 2015. Her spacious open rear deck with the open retractable roof and large windows provide awesome views. 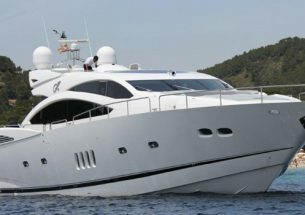 Al fresco dining is an absolute pleasure on this luxury motor yacht and a private chef is available upon request. Water sports activities are optional with a 3.5m jet rib, the coolest water toys are supplied for maximum fun in the sea and the three huge, padded sunbed areas to the front and rear make sunbathing simply divine. Air-conditioning & wi-fi throughout plus a 60” TV come as standard. With her gorgeous interior saloon, modern kitchen, 4 x beautiful double/twin cabins, all with ensuite bathrooms and separate crew quarters, this yacht is the discerning choice for long term, ‘live aboard’ charters as well as overnight stays. If your group exceeds 12 then charter a smaller boat alongside this for a fun day out. 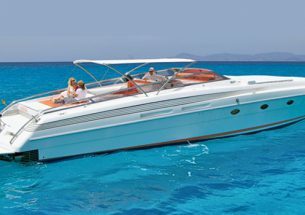 The price includes Captain, crew, beer, wine, cava, water & soft drinks, towels, snorkel gear, paddle board, tender, mooring in base port, full insurance of the boat and personal accident insurance.